A passionate student is a learning student. As the people of the world are becoming increasingly connected, the nature, use, ownership, and purpose of knowledge are changing in profound ways. Our goal as educators is to leverage these connections and changes as powerful means to improve teaching and learning in our schools. Come listen as Sheryl stirs a sense of urgency for shifting classroom practice toward more engaging approaches that unleash the passion that lies within each learner. Did you know you can use the Cloud to keep all your digital resources in sync? Come learn how to sync your media, documents, contacts, and even get free storage. By utilizing cloud services including Dropbox, Google Drive, and Amazon you will never have to manually sync your device again. School-wide transformation is not the result of a series of mandates but a result of purposeful reflections and actions. We will explore strategies through the lens of the school community aimed at tackling the systemic barriers that lend themselves to more compliance over engagement thus prohibiting learner growth. Why are some teachers more open to digital learning experiences while others are slow to the race? How can we encourage the kind of change that doesn't end once the doors of the classroom close? What is the impact on learners and how can we empower the entire school community to become fully vested in building a climate of empowered learners? Experience First in Math®, the Texas Online Math Competition built on the 24game®, where students get so excited about math, they solve thousands of problems and soar beyond grade level. Free more time for teaching and lock in their skills by compelling your students to immerse themselves in Deep Practice with technology. Students have full access to all K-8 content. We’ll discuss simple goal-setting and motivational strategies that drive students to their next level. Attendees receive First In Math for all of their students through July, 2015. How do you create a collaborative classroom? How is learning extended beyond the traditional classroom hours? Learning occurs 24/7. Join one school district's journey on harnessing this concept through a district wide iPad deployment and creating digital content. Creating a collaborative classroom through the use creative and collaborative apps and how teachers and curriculum specialists build digital content that give students have access to 24/7 to their instructional materials. STAAR testing can often put the kibosh on great instruction & technology use as teachers buckle down into “review mode”. Since you can’t beat them, join them! This presentation dusts off a few tech tool that are perfect for review purposes while demonstrating how to bring rigor to the review process. Considering going 1:1 in your district? We have had a successful year in launching our iPad project and we will be sharing some of the successes and pitfalls for you to consider in your program development. We will cover our role out process which includes our time line, communication avenues, policy and procedures, staff development, deployment of devices, infrastructure issues, parent training, documentation process, end of year process for collecting iPad devices and where we are now in our program. We will provide access to our policy and procedures, documentation forms and communication avenues to help you in your journey of 1:1 program. This session will focus on the numerous presentation tools available to teachers beyond PowerPoint and Keynote. I will examine and explain the web based applications Prezi, PowToon and Google Presentation (formerly known as Slides). The session will wrap with quick discussion on how to integrate these presentations into a classroom an a Q&A session. How to incorporate QR codes in your Elementary Library program. Integrate TEKS to create fun lessons for your library classes! A wonderful way to access all your bookmarks from anywhere. Very easy for students to navigate. In Part 1 of The Power of Student Voice, I will spend some time introducing the topic and discussing some things we are doing in my district (Royse City ISD) to empower students to use their voice. We will talk about social media, student panels, school board presentations, etc. This will build a foundation for Part 2 where we will discuss what other schools are doing, how to dispel fears, and who is listening. Come learn free tech tools that I use in my Physics, Engineering, and Robotics classrooms. I'll be presenting free and fun iPad apps and computer software that you can use in your own classroom. Also, I'll bring my 3d printer and discuss a few of the projects we do in class. Topics for this presentation will include sound, light reflection and refraction, bridge building, simple machines, and much more. In Part 2 of The Power of Student Voice, we will discuss: How did you introduced this to your district/campus? How did you handle the fear (often among admins) of "giving students their own voice will mean I give up some control"? Do you feel like anyone is listening? Advice to those who are wanting to get started with giving students their own voice. The goal of the presentation is to encourage the use of AR tools that can help build lessons with more life and excitement. The participant will see different AR apps and how to create AR in their own environment. Exploring how to bring an image to life is a wonderful way to engage students in learning. The class will begin with examples followed by the creation and use of AR. The participants will explore the entire room of real world images that gets transformed by digital layers. Look to the future by changing your reality. Join me in an adventure with a technology scavenger hunt to go beyond the walls of your classroom without leaving your desk. Video conferencing, virtual field trips and other technology tools to break the boundaries of learning. How is your PLN? Which chats should you follow? Should you consider moderating a chat? What is the power of the hashtag (#)? Come learn how Twttier chats can help you expand your PLN (personal learning network). Google Chrome is so much more than a web browser. By harnessing the awesome power of extensions, apps, users, and more you can make Chrome work for you. Streamline your workflow by Chrome-plating your productivity. The Do-It-Yourself approach to Digital Signage, whether your budget is a few hundred or a goose-egg. Conveniently manage multiple displays at multiple campuses while delegating content feeds with FREE cloud services. Sign 'em Up! Getting TechFAT is OK! TechFAT stands for Tech-Based Formative Assessment Tools, and you will learn about Mentimeter, Poll Everywhere, Answer Pad, and Socrative. Experience real-world examples of these tools in action, see how to get students excited about learning, and set up your own accounts. Expand your ability to create quick formative assessment by integrating technology. Come explore the power of Google Doc/Forms, TodaysMeet, Twitter, InfuseLearning, and Kahoot. These are web-based tools, so the device does not matter. Leave empowered to have students eagerly awaiting your next class. In this session, we'll talk about inspiring learning through student creativity from the lens of puppets and other creative pieces created by 9 year old, 4th grader Braeden who makes these incredible pieces at home but does not utilize them in the classroom. Discover an instructional design approach that engages students while enhancing core content knowledge. Learn how to use technology, pedagogy, and your content to revitalize curriculum, engage higher thinking skills and enliven the classroom experience. Keynoter Sheryl Nussbaum-Beach pairs with White Oak Assistant Superintendent Mitzi Neely in this two part hands-on session. You'll leave with creative, standards aligned lesson plans and ideas to use in your classroom tomorrow. Come be the star of the show using iMovie on the iPad and learn great ways to get student engaged. Turn your ordinary class movies into Hollywood style productions. Action packed animation, iMovie trailer magic and Voilà-Movie Making Madness begins. I teach 4th grade math in a blended semi-flipped environment. Come see ten sites I use to help me innovate and differentiate for my math students. How to use the Google Camera app on Nexus or Android 4.4 to create and submit 360x360 GeoPanoramas or "Photospheres" to Google Maps/Views and connect them in "Constellations" to for off-road Streetview-style Virtual Tours of any locale. What do they know? Who knows? When will we find that out? Later! It's not an inspiring rallying cry, just an unfortunate reality. With Exit Ticket, learn what your students know NOW...painlessly...and have the results to refer to later as needed. We'll explore this interactive quiz platform by using it together. If our students are going to be the kinds of creative, inventive problem-solvers who will tackle and solve tomorrow's biggest challenges, our classrooms need to be places that encourage real problem-solving and innovation. Join me in exploring tools and strategies to provide students with opportunities to explore, build, question, and even fail productively. Do all of the technology ideas you have get jumbled in the process of working out how to share just a few devices? Let me show you some easy ways to manage devices and student’s time so that they are using technology for purposeful learning. We are flooded with information every day, especially online. Staying current on topics of interest can be challenging and time-consuming. Learn how to use RSS (real simple syndication) to organize your information-gathering so that relevant materials come to you. In this session, you will see a demonstration of an RSS aggregator called Feedly. Learn to provide teachers, staff, and students with easy tech lessons they can tackle with you or on their own time. Using the best apps and web tools available, you can create a virtual professional development program for your district. Fill your toolbox with ideas and activities that inspire student success and achievement. See how classrooms can be transformed into 21st Century Learning environments. Regardless of grade level, this session will demonstrate transformations that have taken student engagement, comprehension, and evaluations to the next level. Topics: technology integration, PBL, Free/inexpensive apps, classroom management, digital devices, going Green, etc. Success stories and pitfalls to avoid will be shared. Leave the session prepared to begin your own "Transformations". Need classroom integration ideas for 1-1, BYOD or both? What are some ways teachers can help students use devices in the classroom? What are some pitfalls to be aware of? 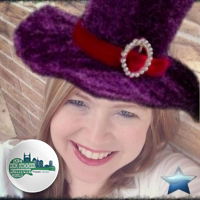 "Join Marsha Edney, Henderson HS librarian, as she introduces the TexQuest databases prior to the virtual ribbon-cutting ceremony at 2:00 presented by the Texas State Library to officially begin TexQuest – online resources for schools! All librarians are invited to attend this Google Hangout. Fifteen years ago, the thirst for knowledge could (most reliably) be satiated by visiting a local library. As a result of physical distance to information, many questions went unanswered. In the digital age, information is everywhere and your queries have monetary value. In this session, we'll cover tips to stay smart online and how to teach your students to do the same. This session will highlight the need in our culture to introduce computer science, specifically the skill to understand computer coding, to primarily intermediate students. Resources available to teachers to teach coding to students will be shared. Presentations are suppose to be graphic heavy but then what happens when they are shared without a presenter? Watching a presenter is great but where is the stuff? Hello MoveNote! A free app that overlays presentations with video. Middle schools students are doing it and you can too! Fast-paced look at some of the latest online tools to get our kids innovating, creating, communicating and collaborating beyond school walls, and putting our unprecedented wealth of knowledge into action! Writing. A word that strikes fear into many and for some students is considered the bane of their school existence. But writing doesn’t have to be scary: for the teacher or the student. By allowing for authentic writing experiences and integrating a bit of “magic” you can take your writing ghoul to writing cool. Wind down with Sheryl and Mitzi as they highlight the happenings from the day.